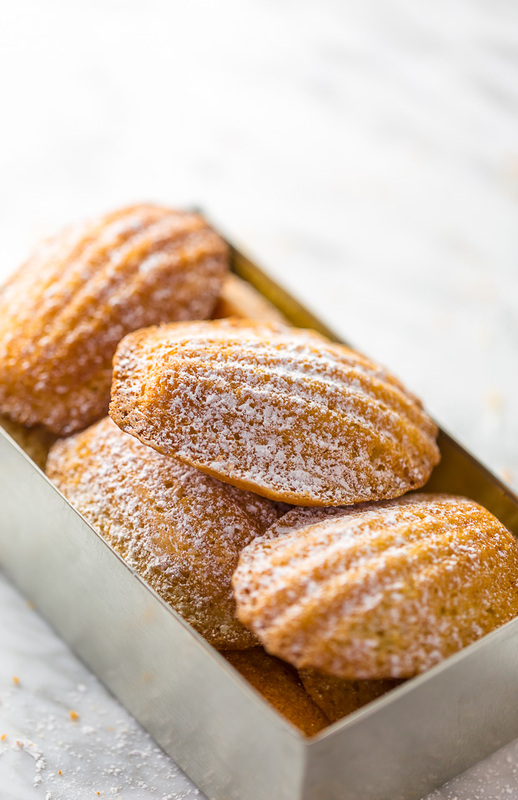 Today I’m teaching you exactly how to make Classic French Madeleines! They taste just like the ones you’d find in a Parisian boulangerie! I’ve been trying to stay focused… but there’s a constant whisper in my ear: 2 weeks till Paris! Of course, the day count changes as the days fall off the calendar, but the message is always the same. Vacation is coming and it’s coming soon. 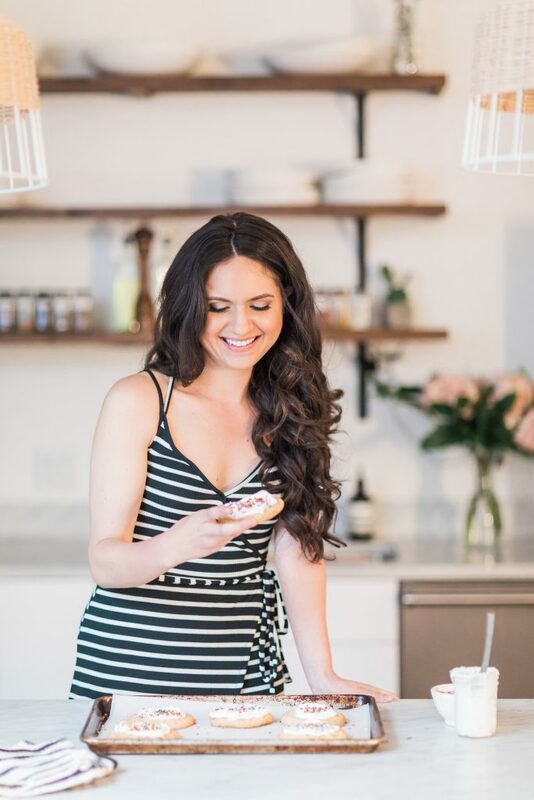 So I decided to channel my unavoidable excitement into something sweet for you: a week’s worth of French inspired recipes! Beginning with a lovely batch of Authentic French Madeleines. But for now, let’s move on with the recipe! Because classic or not, these delicate little shell shaped sponge cakes are sweet, buttery, and so DELICIOUS! First things first! To make this recipe, you will need a Madeleine mold. If you don’t already own one, here’s a link to the best madeleine pan. Now that we’ve got that out of the way, let’s discuss brown butter! Because it’s the very first step in this recipe and it’s an important one. To brown butter you’ll need a saute pan, butter, and a little patience. You’ll melt the butter as normal, then continue cooking it over medium heat – stirring occasionally – until it reaches a golden brown color. Watch your butter closely as it browns, because it can burn easily! Once it’s nice and golden brown, remove it from the heat and pour it into a heatproof bowl – being sure to scrape all of the golden bits off the bottom of the pan. And that’s it! Easy, right? You’ll want to do this step first because the butter needs to cool a bit before being added to the batter. Because cold ingredients don’t bond, your eggs must be at room temperature before using them in this recipe. One of the most important steps in this recipe is beating the eggs and sugar together. You’re going to want to gradually add the sugar into the eggs, and beat the mixture for a long time; about 3 to 4 minutes. 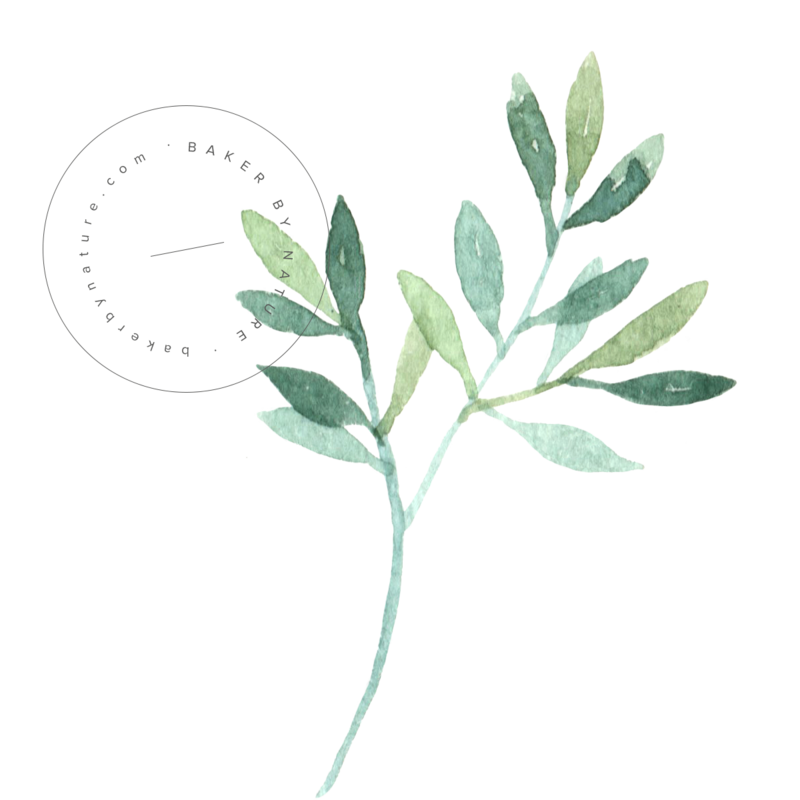 I find 3 and 1/2 minutes is my “magic number”, but visually you’ll want the mixture to be pale and very thick. And the hardest part of this recipe?! The waiting! The batter must be refrigerated for at least 4 hours. The good news? You can keep it in the fridge for up to 2 days! Finally, be sure to keep an eye on them as they bake. They’re ready when their “bellies” have risen and they’re golden brown. 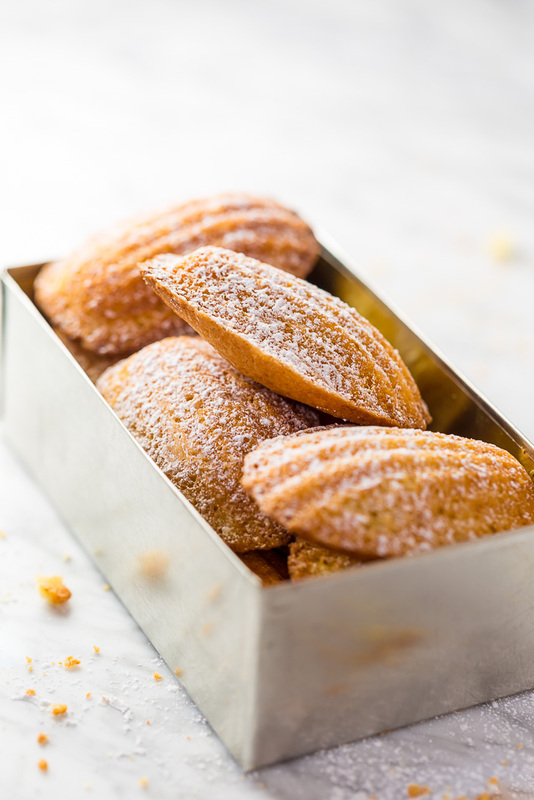 Although many think that madeleines are French shell shaped cookies, they are actually CAKE. The batter is typically baked in a shell-shaped mold and the finished product is often decorated with confectioners’ sugar or some type of glaze. One more thing! 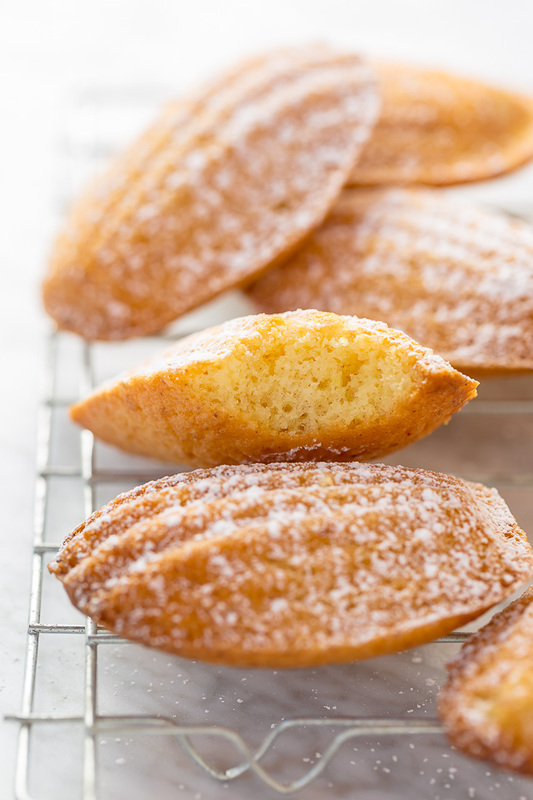 Madeleines are truly best served warm, and definitely best served within an hour of baking them. They lose moisture quite quickly, so they’re not a cake I suggest making ahead of time. But as I mentioned above, you can make the batter ahead of time, then bake off fresh batches as needed. I love baking them for brunch because they’re so good with a cup of coffee or tea. Now that I feel I’ve “mastered” Classic French Madeleines, I’m eager to start experimenting with new flavors! So I was hoping you’d help me pick out the next flavor I should post? I’m between mint chocolate or lemon poppy seed?! Both sound so good to me! If you try this French Madeleine Recipe, let me know! Leave a comment below and don’t forget to snap a pic and tag it #bakerbynature on instagram! Seeing your kitchen creations makes my day. 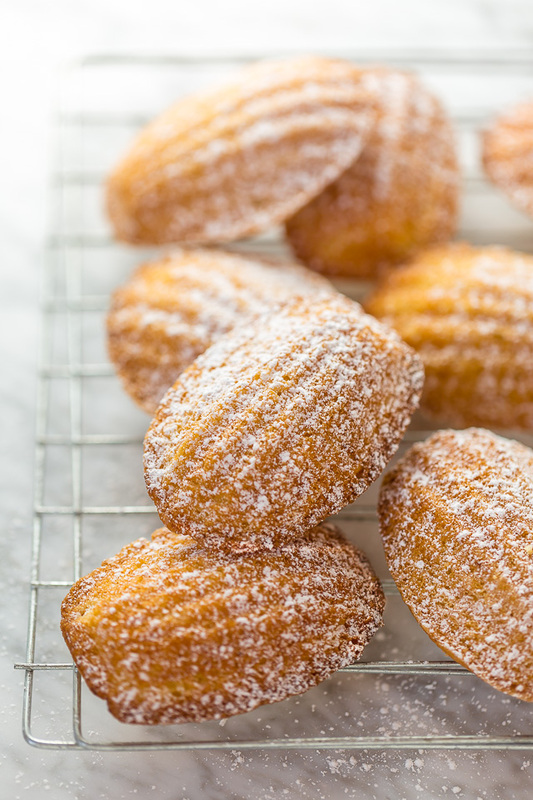 These Classic French Madeleines are light, fluffy, and so good with a cup of tea! Cut the butter in tablespoons and place them in a heavy saucepan over medium heat. Once the butter has melted, reduce the heat to low and continue cooking, until the solids sink to the bottom of the pan and turn golden brown, about 10 minutes. Remove from heat and pour the browned butter into a small bowl. Stir the vanilla and lemon zest into the butter, then set aside to cool. In a medium mixing bowl, whisk together the flour, baking powder, and salt. Set aside until needed. In the bowl of a stand mixer fitted with the whisk attachment, beat the eggs at medium speed while gradually adding the sugar. Once all of the sugar has been added, increase the speed to medium-high and continue whipping the mixture until it's very thick and pale in color, about 3 to 4 minutes. Turn the mixer off and, using a silicon spatula, fold in the flour mixture in three additions, stirring just until combined. Fold in the butter mixture. Cover the bowl and refrigerate for at least 4 hours, and up to 2 days. 30 minutes before you're ready to bake, preheat the oven to 375 degrees (F). 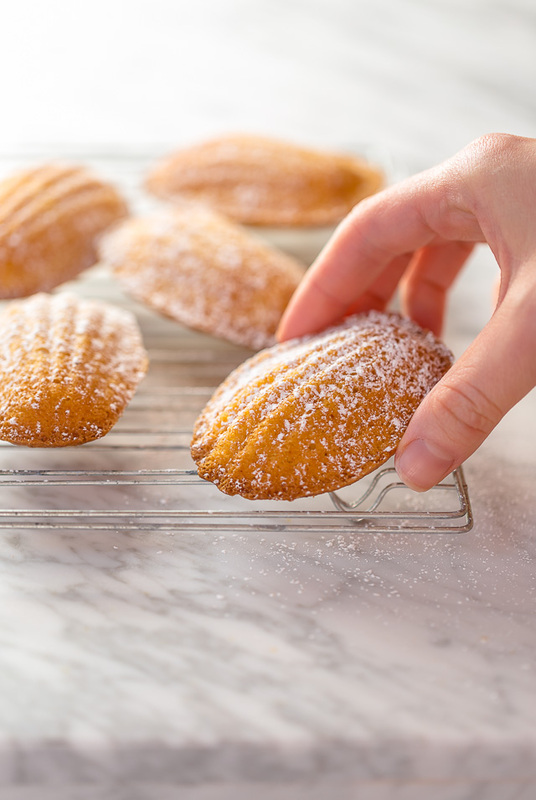 Generously brush the molds of your madeleine pan with butter, then lightly dust with flour. Using a medium cookie scoop, spoon level scoops of the batter into the center of each mold. You don't need to spread the batter. Bake for 12 minutes, or until the "bellies" have risen and they're golden brown. Cool madeleines in the pan placed on a cooling rack for a minute or two, then gently loosen them from the molds. If they stick, carefully run a small knife around the edge of the cakes until they release. Dust with confectioners' sugar and serve warm, with coffee or tea. What a beautiful and mouth-watering classic french medeleines. i love this idea and i will definitely try it at home. It would be perfect starter for special day celebration. These cookies look so pretty! Great tips, too! Pinned! These are my favorite cookie! I’ve never made them, however for fear they would be too complicated. You take the intimidation right out of it! Thanx for sharing amazing recipe. Tried this today and really really enjoy the taste. I don’t have the mould so I used different shell mould with smaller size and only made 1/3 of the recipe. Need to invest on the real madeleine’s mould as I will be maling this again and again. WHY would you want an eggless version?? NOT possible, make another cookie!! These Madeleines are the “Classic French Recipe” NOT to be fooled with!!! can you freeze these and make them ahead weeks in advance? Love the idea. Can you please tell me what 1/2 a cup or 3/4 cup are in grams? I use a silpat madeleine mold. Is it ok to use the Pam baking spray? thanks dear for sharing this lovely recipe. They taste amazing loved it. I just made a batch of these. Awesome recipe! I used vanilla paste instead of vanilla extract. Will try extract next time to see if there’s a big difference. I overfilled the molds but lesson learned. Thank you for sharing! This was my first time making Madeleines. They came out beautifully. No changes made other than reducing the cooking time by about 2 minutes. The cool part is I was making two types of madeleines. conventional and vegan. I used this recipe for the conventional and then for the vegan I swapped aquafaba for egg and avocado oil plant based butter for the butter. They were wonderful and have been requested again. I would love to make these cookies. My mixer does not have a whisk attachment. Will that be a problem?